Handmark CEO Paul Reddick attributes the rise of mobile’s importance for accessing breaking news to widespread habit formation among smartphone users. 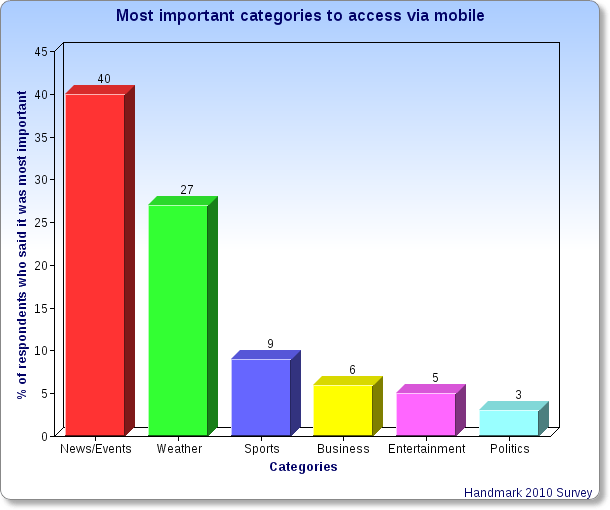 “Breaking news happens all throughout the day, and what you have throughout the day is your mobile device,” he explains. “Once you get into the habit of using your mobile … you [can] be in a room with a TV and not turn it on, because you’re reading your news on your mobile device instead,” he says. “The other element is, of course, that you don’t have to get off the couch. It’s convenient,” he adds.